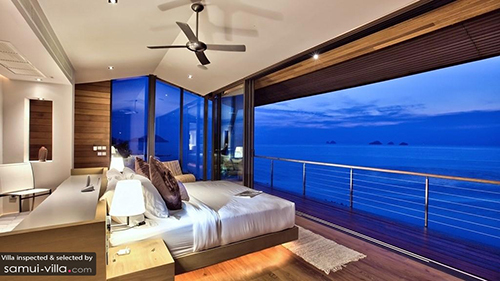 Luxurious Crystal Blue Villa contains a total of six commodious bedrooms, featuring polished wooden panels, velvety drapes and pops of brilliant blue against a neutral colour palette. A private terrace extends out from four of these bedrooms. If you are one of lucky guests securing a stay in one of these highly-contended rooms, make time to enjoy the luxury of lazing leisurely on the terrace, for it offers an intimate setting and glorious views of the turquoise sea. At Villa Manola, you will find three ground floor bedrooms offering a series of luxuries, such as fine furnishings, elegant decor, plush and pillowy beds and best of all – panoramic views of the ocean. Let the salty sea breeze and sonorous waves of the oceans lull you into slumber, and uninterrupted sleep will come swiftly during the nights in these alluring rooms. 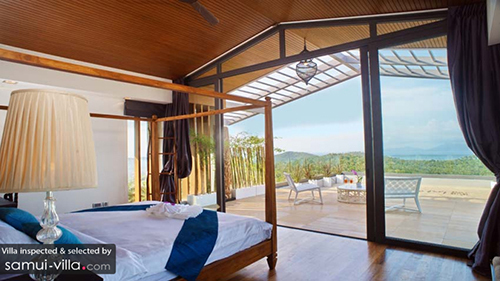 Minimalist and modern Villa Samujana Neung is built for the trendy and stylish traveller. Bedecked in neutral hues and simple furnishings, the bedrooms offer a pleasing and pleasant sight. In the afternoons, curl up in bed with your iPad in hand. When evening beckons, draw back the sliding doors and venture out onto the breezy private terrace. 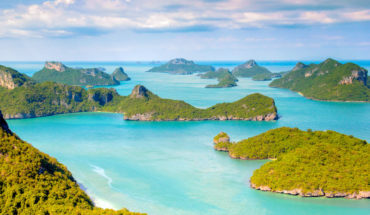 At all times of the day, you will want to keep your gaze lingering on the azure ocean and Chaweng’s picturesque coastlines. 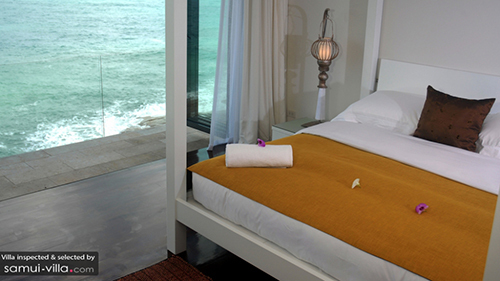 Very aptly named, The View Villa offers striking panoramas of its scenic surroundings. Make your way to the third floor, and you will discover two rooms that are a top favourite among all guests residing here. 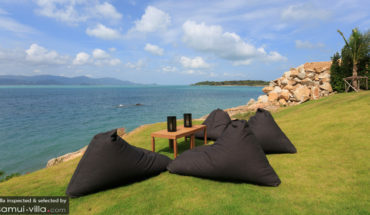 Boasting luxe furnishings, beautiful bathrooms, outdoor shower or bath facilities, a teak wood terrace and gorgeous views of Samui’s western coasts, there is no wonder why these dreamy rooms continue to be popular spots! Welcome to one of the most stunning bedrooms you have ever set your eyes on. 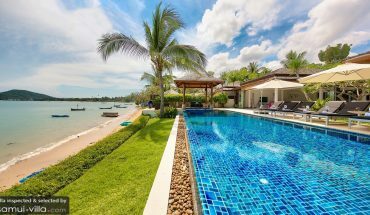 All seven bedrooms at Villa Upni Duniya are absolutely amazing, featuring ornate interiors and breathtaking views, but the cream of the crop is undoubtedly the oceanfront master suite. The vaulted ceilings creates a sense of spaciousness, and the pillowy bed is a dream to sink down into. Flanked with floor-to-ceiling window panes, the rooms offers an unobstructed view of Bo Phut’s striking coastal scenery. 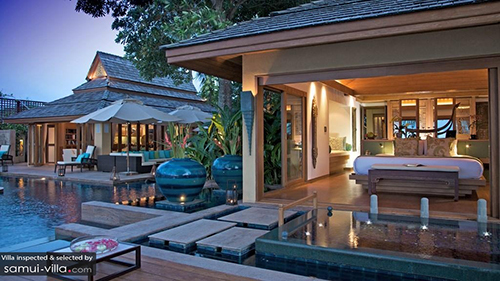 Take a look at our selection of luxury villas in Samui here.